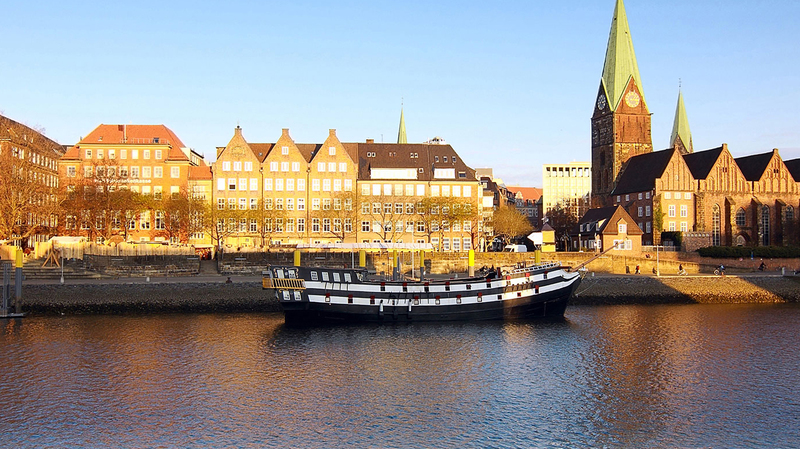 Search for the best flight prices from Stansted to Bremen. Compare prices, book today and save money with Stansted Airport. The luxurious country escape has seen a revival in the rich German countryside of Bremen. But the delights of Bremen are no long limited to its once famous reputation for cabbage and smoked fish, but instead this outward looking and friendly city offers a selection of exciting and enchanting distractions to ensure the perfect balance between country escape and luxury entertainment. Notable attractions include the luxury riverside hotel, with heavenly heated pools and even an ice-grotto included. The central and delightfully landscaped Bürgerpark acts as a magnet to Bremen’s top hotels, most of which seem to be clustered around the park. Enjoy a prime lakefront position, ice grotto, heated outdoor pool and Michelin-starred restaurants at five-star Park Hotel Bremen (Im Bürgerpark). International chains such as Courtyard by Marriott provide options for mid-budget travellers, similarly to a selection of boutique design hotels. Hotel ÜberFluss (Langestrasse 72) offers a steam room and sauna set into part of Bremen’s city wall, while City Hotel Bremen (An Der Weide 18-19) is a decent choice at the budget end of the scale. There is a diverse range of shopping to uncover in Bremen, from glitzy malls such as the Waterfront (AG-Weser-Strasse 1) and Galeria Kaufhof (Papenstrasse 5), to the city’s thriving bric-a-brac scene. Northern Germany’s largest factory outlet, Ochtum Park (Bremer Strasse 107), is great for picking up a designer bargain, while the Weser quayside market is ideal for a stroll and browse as you take in the craft of the musicians and street artists that permeate the stalls selling all sorts from traditional German finger food to craft pieces. There is a regular flea market that is held on Bürgerweide and at the Hansa Carré (Pfalzburger Strasse 41), representing a haven for lovers of vintage clothing, while designer tailor Stiesing (Sögestrasse 35) dominates the haute couture scene. A selection of classy restaurants dealing in international cuisine has transformed the reputation of Bremen’s dining scene in recent years, which used to be notable only for its cabbage and smoked fish. Some of the city’s best restaurants are gathered around the river, including the modern menu devised from classic ingredients by chef Norman Fischer at Michelin-starred La Terrasse (Im Bürgerpark). Popular among the locals is the nearby Katzen-Café (Schnoor 38), which is ideal for a light seafood dinner, while there is a politically-minded feel to the atmosphere at Ständige Vertretung (Böttcherstrasse 3-5), which serves up Rhineland beer to go with its traditional cuisine. This event dates back to 1829, and sees a tailor bearing a glowing iron attempt to cross the Weser River at the beginning of January without getting wet feet. Late winter sees the onset of Germany’s biggest samba carnival, which takes over Bremen’s city centre to the cacophony of music, dance and colour. The traditional Grand Parade is the main focus, which welcomes over 100 samba groups from across Europe, while smaller events and concerts are put on over the weekend. In the region of 200,000 partygoers are drawn to a 1km stretch of riverbank along the Weser River as this long-running music festival kicks into gear each summer. International bands, free concerts and organic food all feature at one of Bremen’s biggest events of the year. This free festival combines a number of genres with its live musical entertainment, as all things maritime are celebrated and the occasion is concluded with a spectacular firework display. This folk festival is one of the largest and oldest in Germany, and attracts over 200,000 visitors each year. There are in excess of 300 fairground attractions to enjoy, along with a carnival float parade that forms the centrepiece of proceedings.